Southwest Rapid Rewards Plus Credit Card Worth It? 60000 rewards points as sign up bonus. It can be a good option for you if you purchase from Southwest Airlines very often. 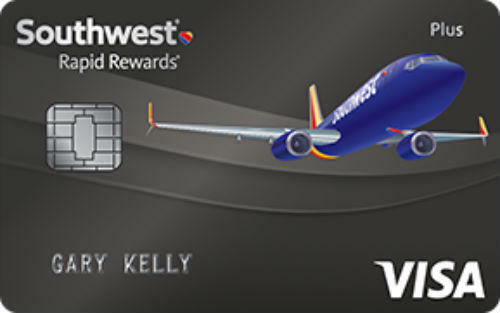 2x rewards points when you purchase from Southwest Airlines. Balance transfer fee and cash advance fee is high. There is foreign transaction fee for the card. You will pay 3 percent more for every transactions in abroad or when you purchase products from abroad. We recommend you to seek cards with no foreign transaction fees as a travel/flight card. Interest rates of the card is high. Annual rewards points will not satisfy consumers. 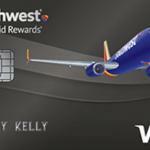 Southwest Rapid Rewards Plus credit card is based on flights purchases from Southwest Airlines. Differences with Southwest Rapid Rewards® Priority is generally about bonus points that you will get annually and the annual fee of the cards. You are going to get less annual bonuses with plus. You will also pay less with Plus credit card too. Other interest rates, fees and promotions are same with Priority. You can get 40000 bonus rewards points after you spend $1000 with the card. There is also additional 20000 bonus when you spend $12000 in a year. The balance transfer fee and cash advance fee rates are 5% and this is high. Interest rates of the cards are high as well. With this card you are going to get 30000 rewards points which is worth $30. We believe that you can find much better cards with better interest rates and better promotions. This card can be slightly profitable for those who are purchasing from Southwest Airlines very often. However you can still find other cards with better rewards rates for flights and other purchase categories. 40000 Rewards Points Bonus When spend $1000. 20000 Rewards Points Bonus when spend $12000 in a year. You can read some users reviews of Southwest Rapid Rewards® Plus Credit Card below.